Mike Coughlin will look to grab a win at Norwalk for the second straight year when the Lucas Oil Drag Racing Series makes it’s annual stop in Northwest Ohio. Ohioan Mike Coughlin has many fond memories from his 2007 and 2009 Division 3 championship seasons in the NHRA’s Top Sportsman category, but what he remembers most about those two years is how much fun he had going to the track and drag racing every weekend. 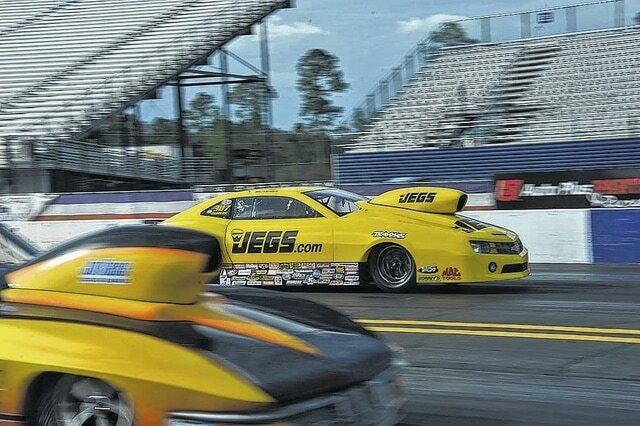 Coughlin, one of four brothers who own and operate Columbus-based JEGS Automotive, a high-performance parts company, plans to return to that simple gameplan this weekend when the Lucas Oil Drag Racing Series makes it’s annual stop in Norwalk at the Bader family’s facility in Northwest Ohio. “When the NHRA announced that Top Sportsman and Top Dragster would have a national championship for the first time ever this season I think we all started dreaming big,” Coughlin said. “But recently I kind of stopped and reset myself a little bit and remembered that the journey is what’s important. It’s probably a great idea for Coughlin to singularly focus on this weekend’s race. After all, he posted his best elapsed time (6.599 seconds) and top speed (212.69 mph) en route to a big victory here one year ago. His Greg Cody-tuned JEGS.com Chevy Camaro has been equally impressive this season and the crew is ready to repeat last year’s glorious day in their home state. “Winning at Norwalk last year is a personal highlight, for sure,” Coughlin said. “The fact my brother Troy won in Pro Mod at the same race and we were able to share the winner’s circle made it one of the all-time best days of my driving career. Sportsman qualifying begins at 9 a.m., Thursday, with eliminations starting at 9 a.m., Friday, and continuing throughout the weekend.